In contrast to claims that he was pro-Romney in 2012, Israeli Prime Minister avoids US elections. 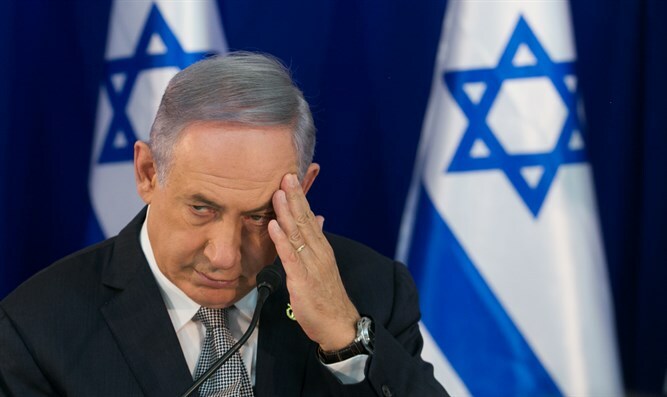 Benjamin Netanyahu is adhering to a strict policy of silence on the US elections to avoid a repeat of his 2012 troubles over perceived meddling, The New York Times reported. The Israeli Prime Minister offered no comment on the subject during a recent 3-hour meeting with US political figures, The Times reported Thursday in an article entitled “As Trump vs. Clinton captivates world, Netanyahu is unusually silent.” It was one of the first articles carrying the byline of Peter Baker, the newspaper’s new Jerusalem bureau chief. The Times is known for either bashing Netanyahu directly or by snide asides, hence the word "unusually." In 2012, Netanyahu hosted in Jerusalem and praised Mitt Romney, President Barack Obama’s Republican challenger, in what the Obama team viewed as an effort to influence the election, though Netanyahu’s office denied this. Later, Netanyahu accepted a Republican invitation to address Congress in 2015 to assail Obama’s efforts to negotiate a deal with Iran curbing its nuclear program. The campaign, in turn, is largely staying away from Israel, according to The Times, raising concerns – including on Netanyahu’s part – that the United States is pulling back from regional issue concerning Israel as it prioritizes the Islamic State, the war in Syria and relations with Russia. “The Israeli-Palestinian dispute, once a dominant part of any White House foreign policy, seems to be slipping to a second-tier issue,” The Times article reads. Netanyahu and Obama have tried lately to put their difficulties behind them by negotiating a 10-year American security aid package for Israel, the deal on which is “all but complete,” according to the report.